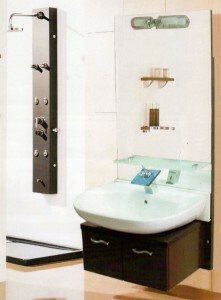 A lift basin is an infinitely variable electrically adjustable washbasin unit. Depending on the model, the lift basin is also adjustable in inclination. Optional, the lift basin comes with special handles or wheelchair-adjusted to be fully accessible. 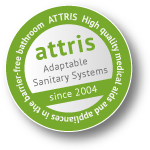 The lift basin has been developed especially for people who have difficulties in using sanitary facilities without further help. 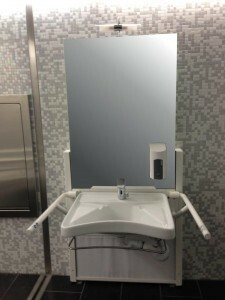 Wheelchairs for example, require special height adjustment for the basin tap. For flush mounting, the flexible element of the flush unit can also be adapted to your requirements for sinks, low- and sideboards, mirrors and lighting etc. For surface mounting the lift basin can be equipped with an inclination of 10 degrees.